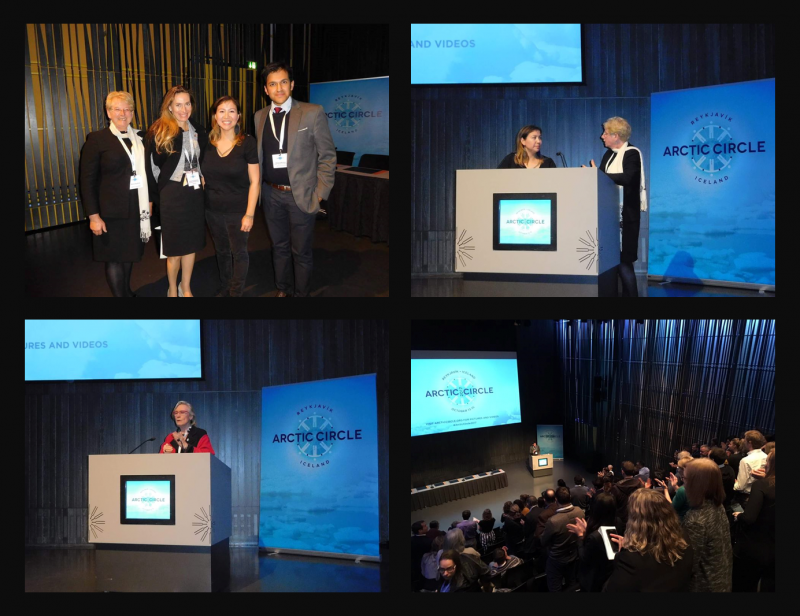 Polar Research and Policy Initiative, in collaboration with the Embassy of Canada to Iceland, was pleased to host a screening of Angry Inuk on 13 October 2017 at the 2017 Arctic Circle Assembly in Reykjavik, Iceland, which was followed by a Q&A session with the film’s director Alethea Arnaquq-Baril. 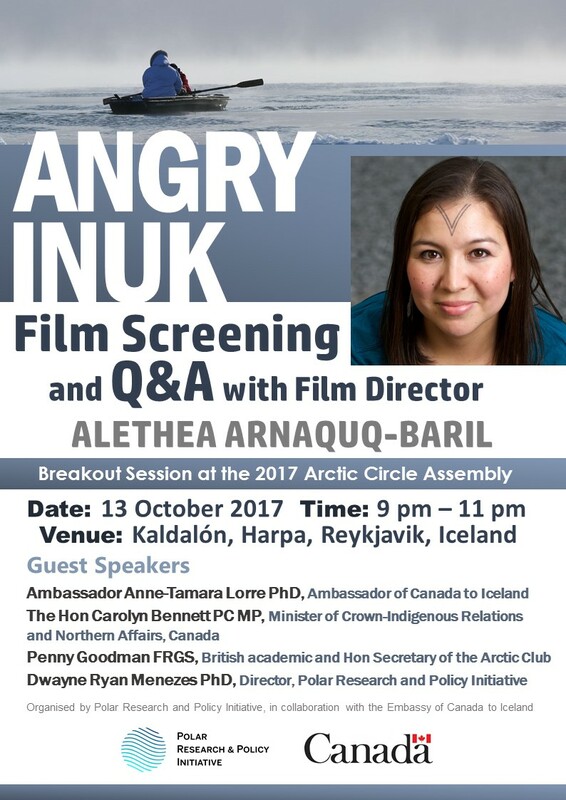 Angry Inuk is a 2016 Canadian feature-length documentary film written and directed by Alethea Arnaquq-Baril that defends the Inuit seal hunt, arguing the hunt is a vital means for Inuit peoples to sustain themselves. 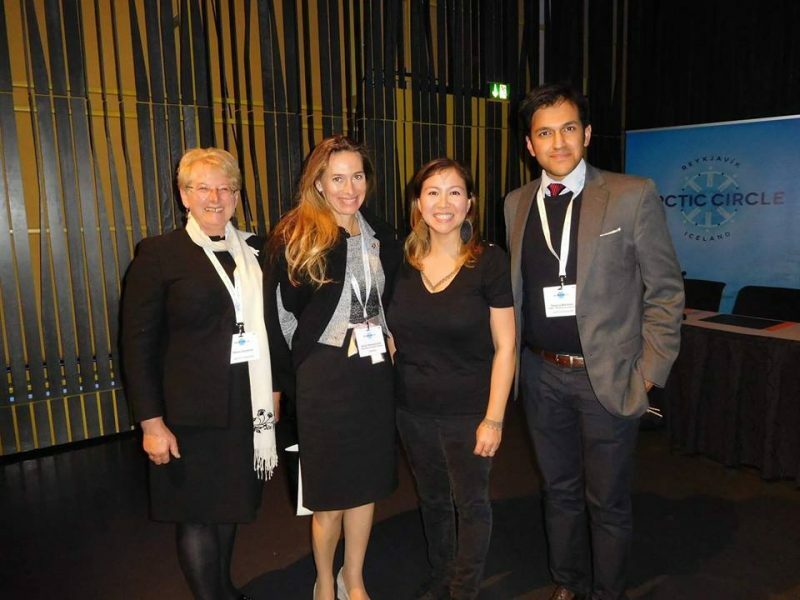 Subjects in Angry Inuk include Arnaquq-Baril herself as well as Aaju Peter, an Inuit seal hunt advocate, lawyer and seal fur clothing designer who depends on the sealskins for her livelihood. Partially shot in the filmmaker’s home community of Kimmirut, where seal hunting is seen as essential for survival, the film follows Peter and other Inuit to Europe in an effort to have the EU Ban on Seal Products overturned.